This air purifier offers a compact size, making it easy to move around. The iTvanila air purifier offers a simple, yet modern look. It has rounded edges, a compact form factor, and intuitive touch buttons. For starters, the top of the iTvanila contains a basic touch interface with multiple buttons. While we do call them buttons, none of them can actually be depressed. Instead, they are all touch-screen buttons, meaning once your finger glazes over them they will activate. What does the rest of the unit look like? As you move down the iTvanila, there is not much to it. The logo is embossed on the side of the purifier, and just below that is the LED light ring. From there, the bottom of the unit contains the filter compartment, but it is nothing too fancy. RELATED – Interested in more air purifier reviews? Check out our Dyson Air Purifier review here. How does it look in terms of aesthetics? In my opinion, the iTvanila has a classy look to it. The compact size makes it easier to “hide” while still getting the job done. That said, I do believe most people would find that the look of this air purifier is nice enough to leave out for others to see. The iTvanila air purifier is rather small, standing 12.75″ tall and 7″ wide. Additionally, this unit has a total weight of 5.29 lbs. The iTvanila air purifier does not include any extra parts or accessories. The essential pieces needed to use this unit are what come in the box. Overall air cleaning performance on the iTvanila air purifier was solid. Within 1 hour the iTvanila air purifier removed 77.3% of air particulates, improving air quality well within the “good” range. 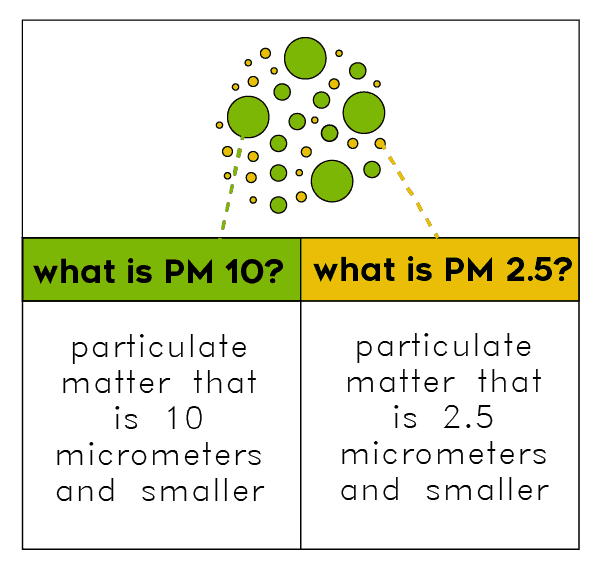 Taking a new measurement to compare the difference in overall air quality. 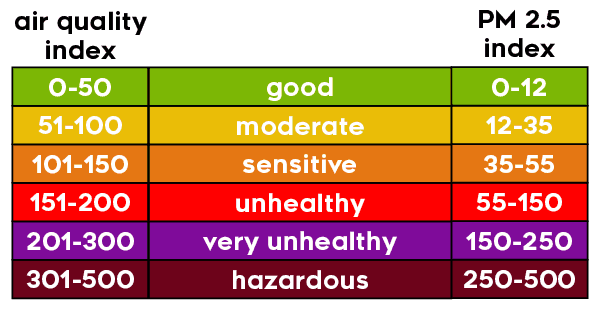 Below, we’ve included information on the testing criteria and what defines good vs. bad air quality. RELATED – What’s the best air purifier for 2019? We answer! The iTvanila air purifier’s main job is to provide cleaner air in your home. This specific unit does so by utilizing a three-stage filtration system. What is the first stage of filtration? Right off of the bat, the iTvanila sifts air through its pre-filter. This is an important stage, as the unit works to capture large air particles, such as pet dander and airborne bacteria. Moving on we find the HEPA filter. This is stage two of the filtration process. While it is second in line, it is also the most important step in the process. HEPA filters are able to remove 99.97% of airborne pollutants, as well as filtering particles as small as 0.3 microns. RELATED – What is a HEPA air filter? Last but not least, we have the carbon filter. This is the third filter in line, but another important one. The carbon filter’s main role is to neutralize odors. The carbon filter makes a great deal of a difference for homes with pets, or other potentially smelly causes. We tested the iTvanila air purifier for several months in my baby’s nursery. While it wasn’t able to completely eradicate the odors, it definitely helped to reduce them. When it comes to using the iTvanila, the process is simple. From here, the process only gets easier. The iTvanila offers three fan speeds, allowing the user to select the degree at which they want to purify a certain area / room. The lowest setting is going to be the night level, which is as suggested, can be run at night for a low level of noise and cleaning. From there, the fan options are standard and high. Each of which increase in noise level and cleaning capabilities. This air purifier has the ability to clean between 107 – 320 sq ft, therefore users must be sure to select the appropriate spot for the iTavnila before firing it up. The LED night light is neat, as it can be set to different levels of brightness. For example, this could be used in a child’s room to act as an air purifier and a night light. This setting allows parents to lock the unit so that children do not change the setting of the fan or the filter reset. This is certainly beneficial for the parent who has kids that might touch the air purifier. Additionally, the filter reset gives users the opportunity to let the iTvanila know that you are replacing the filters. iTvanila recommends doing so every 6 months, depending on how often you use the air purifier. Is iTvanila Air Purifier a Good Value? All things considered, the iTvanila is indeed a good value. The compact size, extra features, and air cleaning performance all help make this a well-rounded air purifier. Our air purification tests showed that the iTvanila did a good job of improving air quality. Additionally, the features you get with this air purifier certainly earn some extra value points. The lower cost of this unit combined with the features and performance make it well worth considering. Who Should Buy the iTvanila Air Purifier? The iTvanila is a great air purifier with some neat features available. This could be an excellent option for the user who is in need of a new air purifier, but doesn’t want to break the bank. Want cleaner air: Overall, the iTvanila has a three-stage filtration system that does a fine job of creating cleaner air in small to medium sized rooms. You have a small or medium sized room: The iTvanila can only clean rooms up to 320 sq. ft. If you have a larger room, you’ll want to go with a different air purifier. Want a compact size: While a lot of air purifiers can be large in size, this unit is quite compact. Therefore, it can be moved with ease, as well as hidden in a smaller space if you want to keep it out of plain sight. For more information on the iTvanila air purifier, see here. April 10, 2019 – Performance was incorrectly scored at a 98%, when it was actually a 93%. We adjusted this score, which reduced the overall score from a 94% to a 93%. The iTvanila air purifier is a well-rounded product that gets the job done. It may not be one of the most expensive air purifiers on the market, but it is certainly a solid performer. This specific model offers three different fan speeds, an LED light, and a filter reset info button. If you’re looking for cleaner air in your home, the iTvanila is a solid budget option for small to medium sized rooms.